When most people think about home upgrades and remodeling, they immediately go to the living room or kitchen. These upgrades have proven themselves as smart investments over the years. However, you have secondary spaces that can shine brightly as well. Explore the alternative upgrades that can truly make your home stand out in the real-estate market. For many homes, the attic is a huge space that has countless possibilities. You may not have a clear vision of its use right now, but finishing it out should be a goal. Add insulation and drywall to the walls so that space is comfortable. Add basic flooring across the plywood and beams that may be part of the attic. You can always add furniture or games to space in the future. The garage tends to be a forgotten space when it comes to upgrading the home. It’s a storage space for all intents and purposes. However, it can benefit from a more organized system. Consider the addition of cabinets and wall brackets, such as items from Gladiator garage systems, that make the garage a more functional space. Tools and supplies hideaway along the walls while the system frees up the rest of the garage for larger items. Perform nearly the same tasks in the basement as you did in the attic. Add insulation if necessary. Install lighting that accentuates the space. The basement might double as a guest bedroom, office or game room. 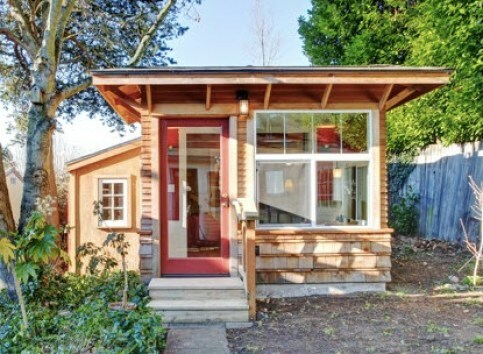 If you ever sell the home, the new owners can convert the space into any use that they prefer. French doors and sliding, glass doors open up a living space to the outdoors. However, your backyard may not be enticing because of excessive sunlight or overgrown plants. Extend the living space outside of these entryways by adding an awning or deck. You might install both of these items together. Adding more space to the main floor only increases the property’s value when selling time arrives. Be mindful of your budget as you embark on each remodeling task. The home’s value won’t matter if you’re struggling to pay the bills as you live within its walls. Perform small tasks throughout the year so that the costs don’t add up too drastically. Those secondary upgrades will be worth the time and effort.